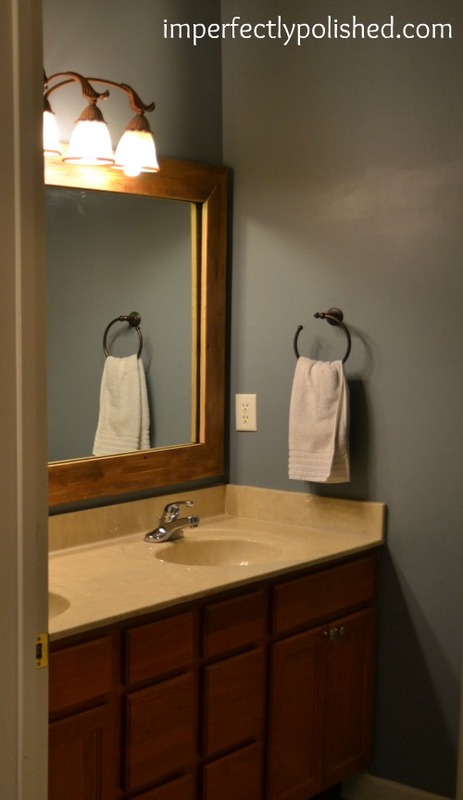 Home » Bathrooms, Before and After, Master Bathroom	» Master Bath Reveal! 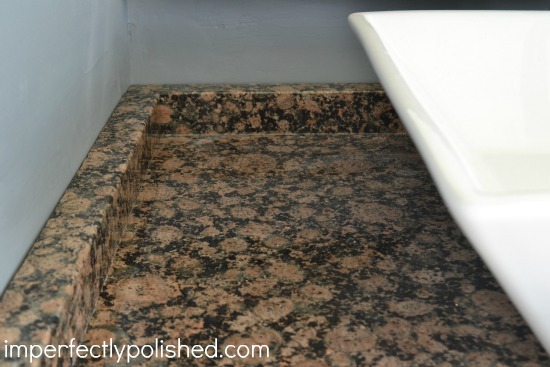 .We sort of feel like we’re living in a 4-star hotel:) I’ll be back later in the week sharing how we cut and installed our own granite and a list of sources for the space. Ok, spill it. What do you think? Do you like our upgrade? I’m linking up here at Beneath my Heart! 35 Responses to Master Bath Reveal! Looks awesome! 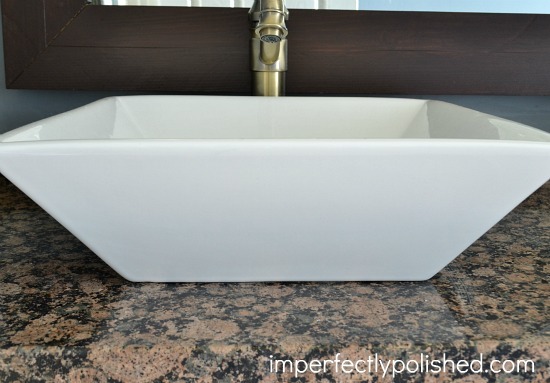 I love the sink basins! Oh my goodness, I am in LOVE with your bathroom! I would feel like I lived in a hotel, too, if it was mine. Hopefully when we have a house we can use the tutorials you gave to spruce it up a bit. I’m still swooning over the framed mirror. Looks so good! Want to come do ours??? Fabulous job! The difference is like “night and day”! Just beautiful!!! You pulled it all together nicely. I love that you reworked and retained so many of the original features. Good job. Cool faucets by the way. NICE! What a huge difference! It is the same vanity base, isn’t it? Amazing! This look beautiful! 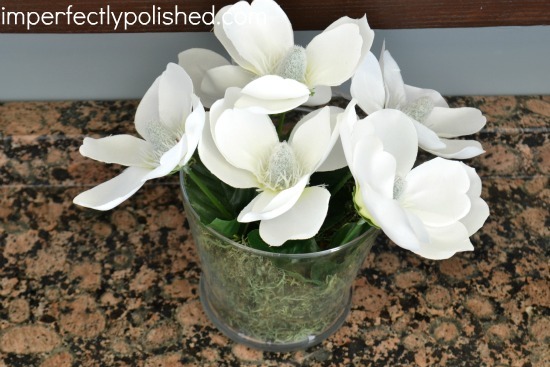 I especially love the sinks, they add such interest and depth. Congrats on the upgrade! Just found this link on Pinterest. GORGEOUS! 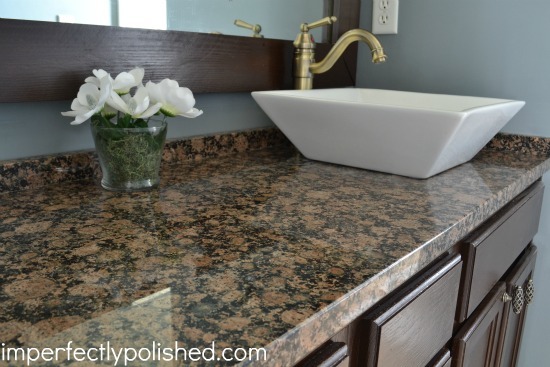 That countertop is beautiful and I love the vessel sinks. 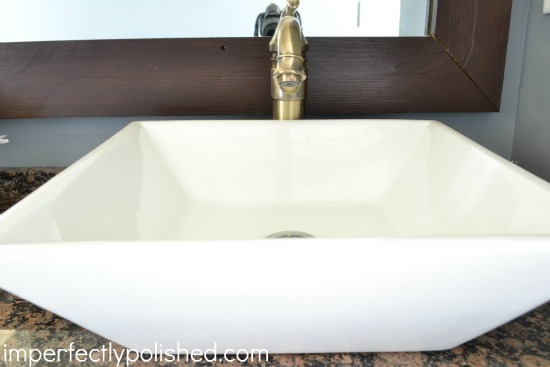 We are in the process of finishing our basement and that looks just like the sink we bought from Overstock! I’m super jealous of your bathroom Great job! I love the changes. 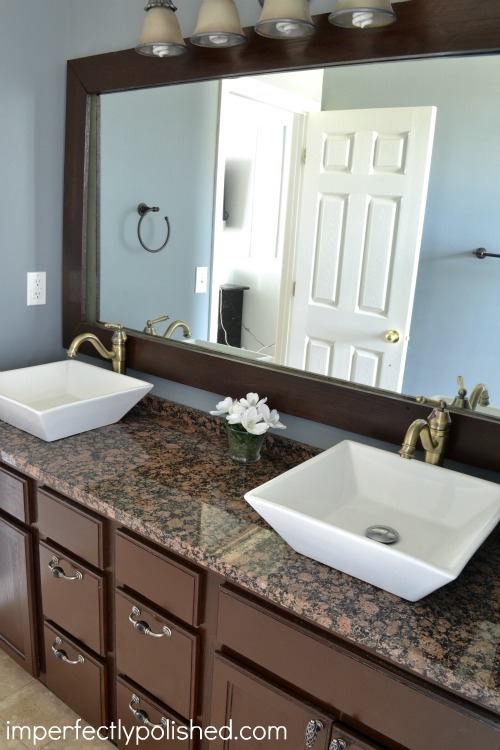 The sinks and faucets are great. Wow, Jessie! What a beautiful change! 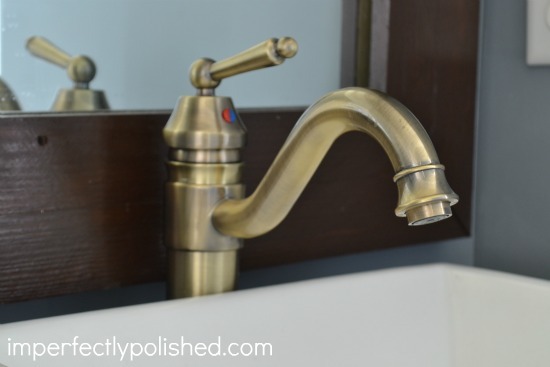 Those sinks are gorgeous and love the faucets! Every detail looks so pretty! Great job! I’m going to feature this in the highlights today! Aw, thank you so much, Roeshel!